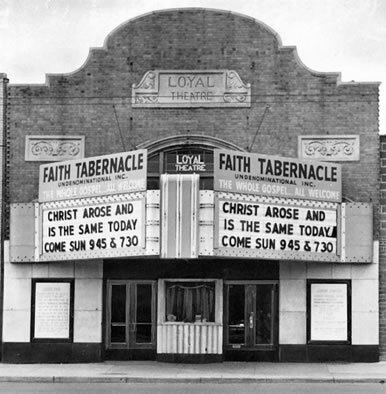 My grandparents acquired the theatre and store to the east in the 1940''s I believe. They lived upstairs in the flat above the store. My mother and her sisters grew up there. I remember working there in the summers while I was in school and eventually I was brought into the family business. I took over the machine shop after Jessie left in the 1970''s. Worked at the Detroit location and the store in Berkley. 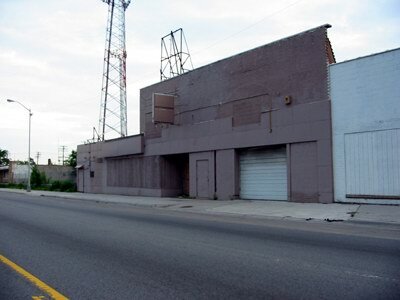 The Detroit store was closed up in the mid 1980''s. After that there were a series of businesses that occupied the building, night club, car repair and last time I drove by the building supply company to the west had taken over all the buildings. Snack''s bar attached to the east of our building was there for many years. I toured this theatre in 1979, when it was Grand-Schaefer auto parts. What had been the auditorium was converted into a warehouse for the parts store. The owner seemed to be entertained by my theatre worship, and allowed me to climb up into what had been the projection booth. all of the projection had been removed, but there was a rotating wire basket drum--the type used for contest drawings. This was left over from the depression dish night days. It still had tickets in it from the last time it was used. Grand Schaefer was a good auto parts store that had a fantastic machine shop. It was a great shop thanks to one man--Jessie. Jessie was a slight african-american gentleman who could machine an engine like nobodys business! He could hit critical dimensions easily, and consistantly. He was reknown among the late 60s hot rod--race mod crowd. He used to grouse about that work, and say I dont want to do no racin car motors, I want to do regular motors so a man can get to work and feed his family. The building still stands, Grand Schaefer is gone.